Tomorrow is the big day! Dragon's Bride is almost here! 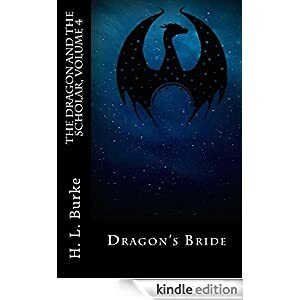 If you'd like to try and win a paper back version of Dragon's Bride, enter through the rafflecopter below. Also, remember that Dragon's Bride is the FOURTH book in this series. I've linked to the previous books on Amazon, because I'm helpful like that. Give away is now closed and winners have been contacted by email. Thanks for participating. I'm quite fond of him as well, over-sized lizard that he is. Awesome! Good luck with the giveaway.